Have you ever imagined what it would be like to be at the BET Awards live? I often wondered, and this year I got the chance to be right there in person! I was determined to soak up every bit of it, and of course I just had to share. 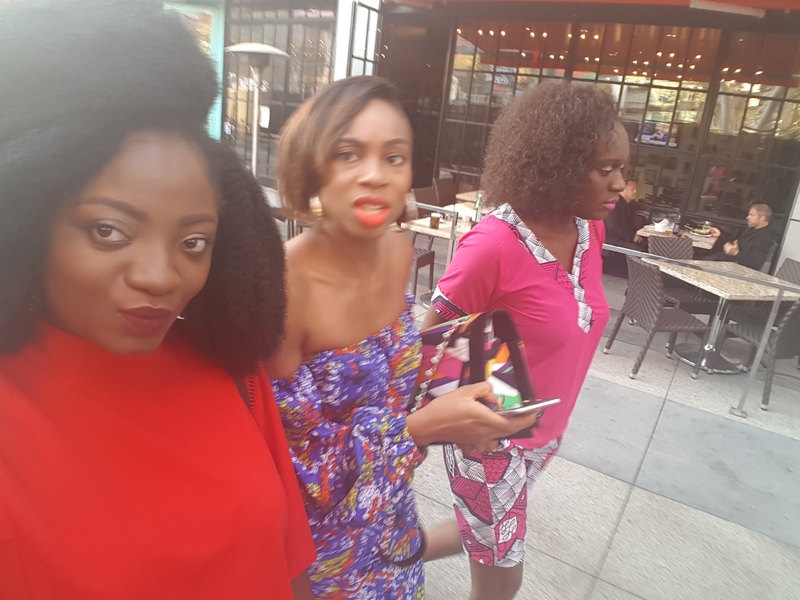 I had great company on this magic carpet ride, travelling with Nonye Ben-Nwankwo of Punch, and Beat FM presenter, Maria Okanrende. On Wednesday June 22 2016 we were off to experience a whole new world! We left Murtala Muhammed International Airport at 10:35pm on Wednesday and arrived in Los Angeles at 11:35am after a 4-hour stopover at the Amsterdam Airport, Schipol around 05:35am. On arriving Los Angeles, we joined the very long queue to pass immigration. Eventually by 14:10pm, I passed immigration and customs; it was a very long and tiring wait. On getting my bag, I noticed that my bags were open — even with the padlock! I asked where I could lay my complaints and I was directed to the KLM office on the 3rd floor. On getting there, they looked at the bag and said they couldn’t have done it; apparently immigration tampered with my bag and so they didn’t have anything to say. I was shocked. Why would they open my bag without letting me know?! I was frustrated at this point, even more so when I realized I had missed my shuttle to the hotel due to the issues I encountered at the airport. I had to wait for next one which didn’t leave for the hotel until past 4pm. On getting to the hotel, we had to wait to be checked in and all, leaving us little time to rest or take a nap after the long flight and subsequent hassle. Our first event for the day was scheduled for 19:30 pm, so I had to take a quick shower and freshen up to leave the hotel by 6pm. It was a crazy one but hey, work has to go on! Our first event for the night was a concert by Katt Williams and Mike Epps at the Staples Center. The show also featured Red Grant and other opening acts. It didn’t start on a good note because I didn’t get enough sleep, but I was looking forward to a great day nonetheless. The events lined up for the day included the African artistes’ awards, and then the show at the GRAMMY Museum later in the day. We had lunch with the African nominees, the Senior Vice President and Managing Director of Viacom International Media Networks (VIMN) Africa, Alex Okosi, and Monde Twala who is the vice president: BET, Youth & Music at VIMN Africa — a newly created role which makes him responsible for driving the growth and development of BET, MTV, MTV Base, and VH1 across Africa. Alex Okosi welcomed us all to Los Angeles for the 2016 edition of BET Awards and also used the opportunity to congratulate all the nominees for their hard work and global recognition (read our interview with Alex Okosi in Los Angeles here). Lunch ended after two hours of networking and paparazzi and then we returned to our rooms to rest for a while and prepare for the next event; Sounds of Africa, presented by the GRAMMY Museum in partnership with BET International. 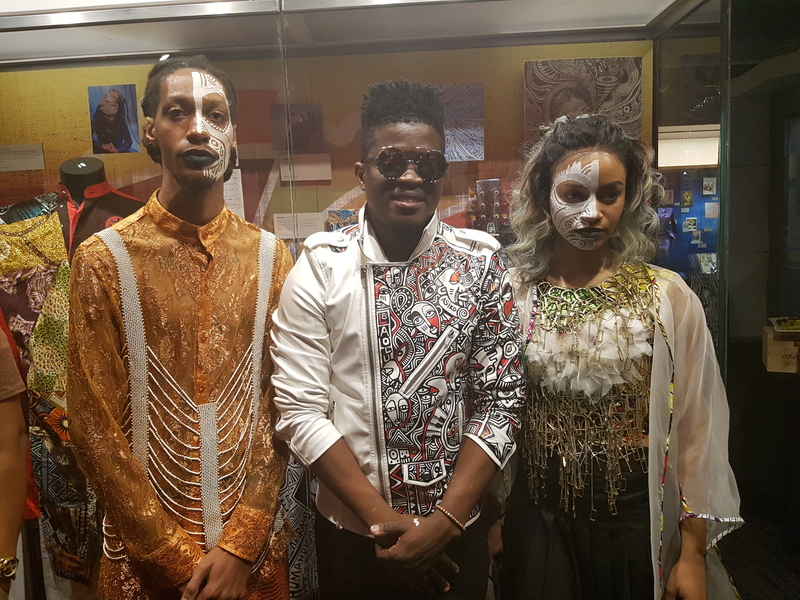 The Sounds of Africa exhibit at the GRAMMY Museum was launched this year to appreciate artistes from Africa representing us globally with their music, celebrating the unique diversity that lives in African music. The Sounds of Africa exhibit featured artistes like Diamond Platnumz, Yemi Alade, Falz, Akon, model Millen Magese, fashion designer David Tlale from South Africa ,and Laolu Sebanjo whose work was featured in Beyonce’s ‘Formation’ video, amongst others. Laolu Sebanjo had his work featured right next to Michael Jackson in the museum. He also performed two songs during the event – one by the legendary afrobeat musician, Fela Anikulapo-Kuti. 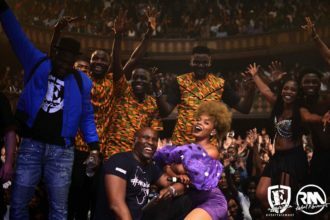 Beninese-born American Grammy Award winning singer-songwriter and activist, Angelique Kidjo, also performed, and Mafikizolo (South Africa), Yemi Alade ( Nigeria), Ice Prince (Nigeria) and 2 Baba Idibia (Nigeria) were featured as well. The event ended with vote of thanks from the Minister of Johannesburg Tourism, as well as a special vote of thanks from the event coordinator for GRAMMY Museum. The after-party took place at the terrace of the GRAMMY Museum, and from the top of the building, we could see the beautiful city of LA. It was an evening of fun, good music from across the globe — especially music from Nigeria —and the great city view towards sunset. We went clubbing at the Club Novo before we retired to our hotel for the night. It was fun, and I had a fabulous day after all! We already knew it was going to be a long day because of the series of events lined up. First, we attended the winner’s announcement at the Staples Center. 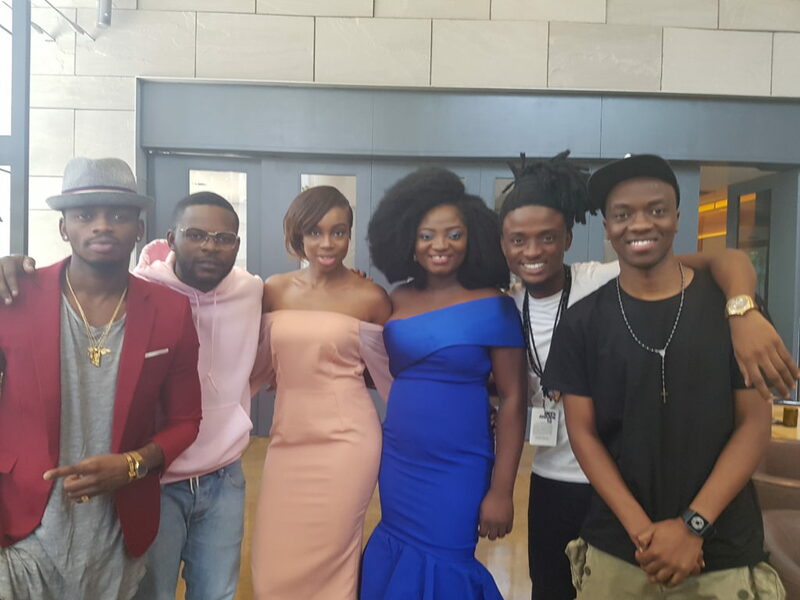 This event was a recorded event for TV; this is the category we don’t see on live TV and over the years, fans and critics have speculated that the African artistes received their awards backstage.This was a chance for us to find out what usually transpired, and I was all eyes and ears. So this is what happened: Four categories were announced before the main show on June 26, including the Best International Act, Global Good Awards, and Best Viewers’ Choice, and the recording was done a day before the main event at Staples Center, the same place where the main award ceremony was also scheduled to take place. Why? According to the organisers, selected categories are announced before the main event because it’s not possible for all the categories to be packed into the main award show. As a result, to fans and followers of these artistes who want to see these categories included on the actual event day and not a day before, it looks like the awards were received backstage. It’s actually the same venue, stage and setting for the main show, but pre-recorded a day before the award show. Black Coffee won the category for Best International Act. 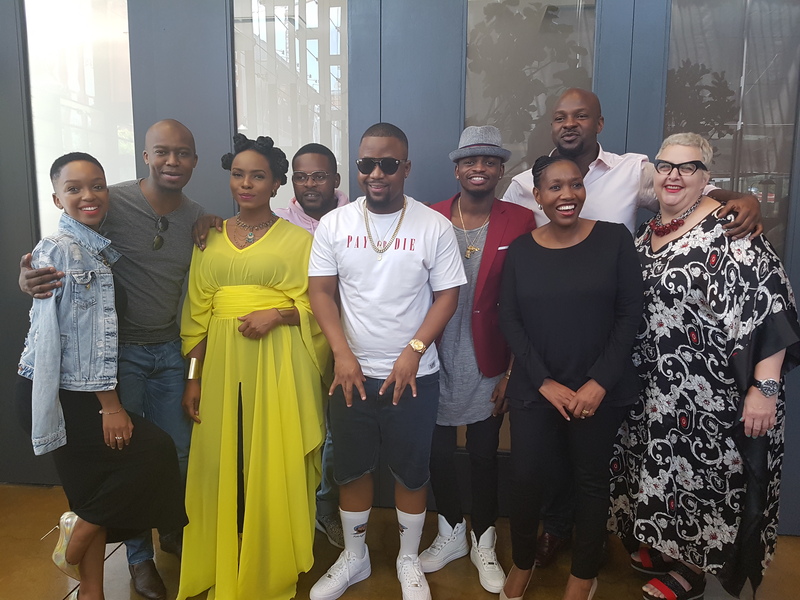 Other nominees were Yemi Alade, Wizkid, Diamond Platnumz, Aka, Msvee, and Cassper Nyovest. For this category, I had my eye on Diamond Platnumz and Yemi Alade, but the award went to Black Coffee. 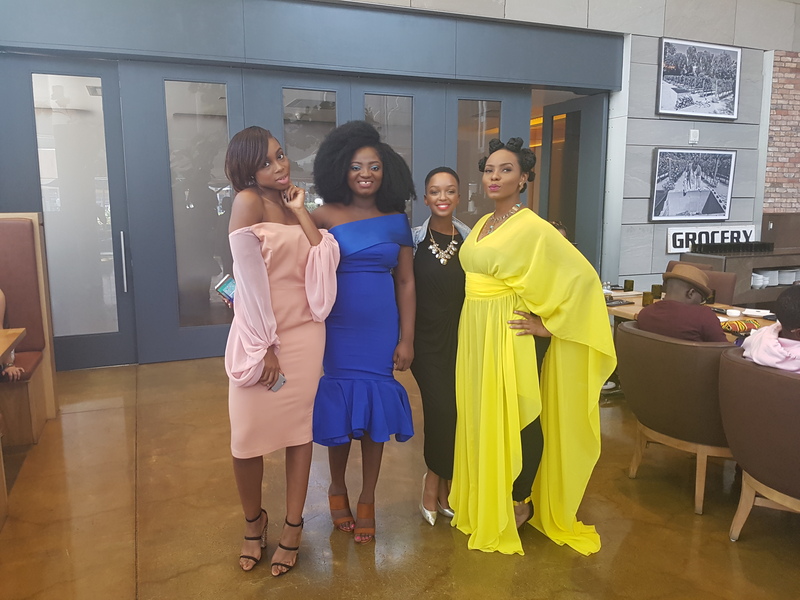 Yemi Alade was in the city but didn’t show up for the day’s event, while Wizkid, for reasons not yet known, was not spotted anywhere near the BET activities at all. Akon won the Global Good Award and he gave a really good speech upon receiving his award.Last year, the award went to Tanzanian model, Millen Magese. 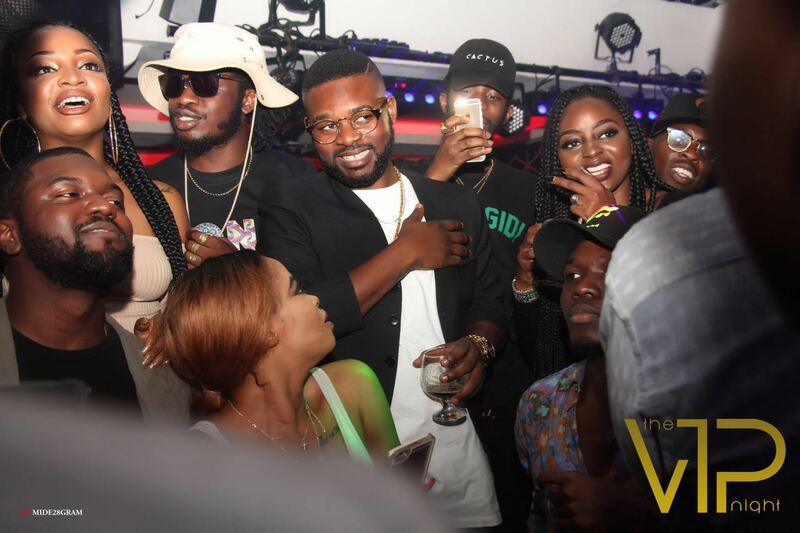 Falz the Bahd Guy won the Best Viewers’ Choice category, an award well deserved! This global recognition means his fees are up now. LOL! After this, we attended the BETX Fan Fest and Sneaker Con event. Next, we enjoyed theCelebrity Basketball Game between Team Lemon and Team Green which featured celebs like Snoop Dogg, The Game, Floyd Mayweather, Nick Canon and others. One of the events I was really looking forward to was the Genius Talks later in the evening, and I was not disappointed. The Genius Talks featured celebs like Gabrielle Union, DJ Khaled, Mellissa Harris-Perr, Michael Smith, and the host, Janelle Snowden. The sessions were enlightening as the speakers sharedinsights on music, the state of the union, business, black lives and their personal experiences. After the sessions, I attended the Lil Wayne and 2 Chainz Concert with the rest of the Nigerian team. It was LIT, and I thoroughly enjoyed the performances by 2 Chainz, Lil Wayne and their team. We however had to leave on time and retire to bed early because we had a long day ahead of us- the main awards! The long awaited D-day, June 26th 2016, finally came, and I was still on my bed at 6:15am. Call time was 11:45am and I had a few hours to get myself ready, dress up, and get some behind the scenes photos from Yemi Alade’s room before going downstairs for 11:45am. I was dressed by 9:30am and then had to get my work kit ready (phones, power bank, access card and water). The sun was really scorching so I couldn’t afford not to have water with me at all times. I headed to Yemi’s room around 11:27am, got some photos, and left for the red carpet show at 11:57am. After my credentials were confirmed, I got a spot on the carpet to focus on the Best InternationalAct, and the African nominees. The red carpet lasted for 3 hours, after which everyone was seated for the live show which kicked off at 5:00pm. The hosts, Tracee Ellis Ross and Anthony Anderson, were on top of their game, steering the show with skill and hilarity. After the national anthem, Queen Beyonce opened the show with an electric performance of ‘Freedom’ with Kendrick Lamar, and immediately afterwards flew out of California to the UK for her tour. Janelle Monae’s tribute performance for Prince. I found Alicia Key’s performance quite boring; I wasn’t feeling it. I guess she had too much to handle as a solo performer. All in all, it was a fantastic, super-charged evening, and I was thrilled to be in the presence of so much talent. I woke up well rested and I had a few hours to catch up with client’s mails, requests and my social media as well as my personal life, before checking out at 11:00am. We left for the airport at 1:45pm, to depart Los Angeles for Lagos. We arrived in Lagos 7:45 pm. The BET Awards took over Los Angeles; everywhere we turned there were flyers, banners and billboards, even on buses! This is the fourth year for the BET in Los Angeles, and it was truly a special opportunity to enjoy the city in a unique way. I couldn’t help wishing I had few more days to explore LA. I will certainly visit again. The electrifying three days of music and entertainment made up an unforgettable experience for me. From the concerts and Genius Talks, to the Celebrity Basketball event and other celebrity appearances, it was a real magic carpet ride! 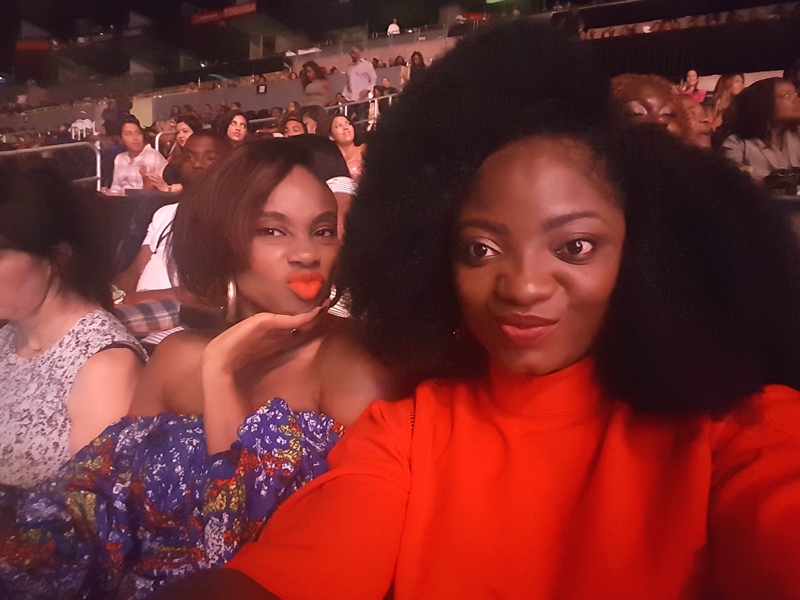 Although the climax of the BET experience was the main Awards broadcasting live from the Nokia Theater on June 26th, watching my fellow Africans — and Nigerians in particular — receive recognition for their hard work and talent, was the real highpoint for me. My heartfelt congratulations go out not just to the winners, but also to all the nominees. The BET experience was unlike anything I had ever experienced as a media professional; I particularly appreciated seeing things from a different angle.